Northerntruthseeker: False Flag Attack In Tunisia: Setting The Stage For US Attack On Syria! The criminal corporate cabal will have their war with or without public support. The UK's vote against war with Syria last year was just a game of charades to convince us all we still live in a democracy - we don't and never have done! Democracy comes from the Greek word demos meaning people and kratia, power but its just a figurative term with no meaning -the time was not right then but it could be now. There's no doubt this is another corporate staged false flag in the name of ISIS/ISIL which we know to be a joint intelligence operation involving the CIA, British intelligence and Mossad who control and created it. Notice the pattern?. Its the same cabal at work behind it as in the church shootings and the 'white supremacist' (no such thing!). I doubt also anyone was actually killed. They don't need to anymore. They just need to stage an event and use theatrical props and payed crISIS actors to repeat the mantra over and over again which pans out something like ''look at these evil terrorists. Help! Something must be done!!. We need more SURVEILLANCE of young people to stop them being radicalised into killers!! ", and so on, so forth ad nauseam! Domestic and abroad its the same Hegelian Dialectic at work and will grant more power to the govt. Notice the word SURVEILLANCE which I thought was important to highlight because thats what this is event is really all about. They want to push more draconian laws that allow all citizens to be monitored electronically, collecting as much data as they can and building up character profiles of every living person on or off the internet. They want to destroy our privacy because they don't believe we have a right to privacy anymore because "look! !, there's extremists running around shooting everything up. We need to SURVEY everyone just to make sure they're not buying into harmful ideology!!". But they're more concerned about those who would expose and take up arms to fight the govt, not their enemies, they've already sorted that. And the dumbed down public will grant them their request because they have nothing to hide, right! All this and at the same time they are grooming these fools to fight in their Frankenstein machine against all the enemies of the NWO! Those who would surrender their liberties for freedom deserve neither liberty nor freedom. You say: "to the Israelis and Americans with their twisted thinking, what are a few 'dead Arabs' in the bigger scheme of things?" At least 15 from the United Kingdom have lost their lives and that may rise to two dozen, so they are not killing Arabs here! 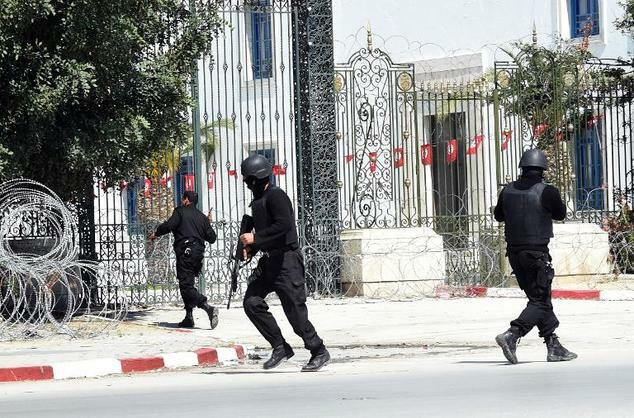 People from other countries have died and why didn't the gunman shoot at the Tunisian people? I'm not saying I do not believe that this may be another false flag - it could very well be, but when I read that part of your blog, it just didn't make sense because MANY non Arabs were reportedly killed. I have no qualms in my statement as being fact. The fact that foreigners were also killed only helps to fuel the push for war on Syria. 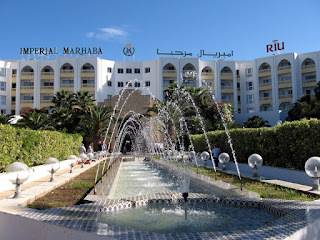 The shooter waved Tunisians out of the way and deliberately targeted foreigners (up to 30 British dead). Now British forces are going to Tunisia, and a former head of the British army said today that the UK must fight ISIS on the ground. A few dead arabs!? Don't think any but the gunman were killed were they? Well you are right about the invasion of Syria.Michael Fallen the Uk defence minister is calling for support for this saying we think that Isis planned this from northern Syria and we want to attack them.But not too soon probably in the autumn.What does he mean?I guess he will give them a few months to move on from their location in case the RAF will hurt them.